Raleigh Immigration Lawyer | Are You Eligible for DACA? Raleigh Immigration Lawyer | Are You Eligible for DACA? DACA (Consideration of Deferred Action for Childhood Arrivals) is available for eligible applicants. To obtain DACA status, certain applications must be filed with the United States Citizenship and Immigration Services. The experienced immigration lawyers at Allen & Pinnix, P.A., will represent you throughout this complex process and help you determine your DACA eligibility. “DREAMers” and certain other persons who entered the U.S. without inspection or who entered lawfully, but who are now out of status, may request consideration of deferred action (DACA) for a period of two years, subject to renewal, by submitting a DACA application with the required filing fees to the U.S. Citizenship and Immigration Services (USCIS). Those requesting deferred action also will be eligible for employment authorization. 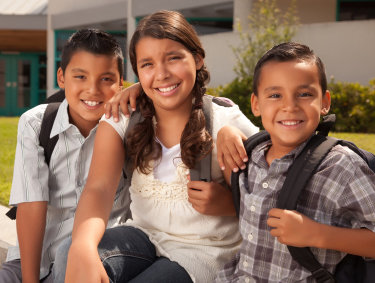 What is Deferred Action for Childhood Arrivals – DACA? Even though DACA offers substantial benefits (such as employment authorization) every applicant should evaluate all potential risks with a competent immigration attorney. While DACA may be available for DREAM Act eligible youth, this is not the DREAM Act and Congress has not passed the DREAM Act. DACA is temporary and does not provide a path to lawful permanent resident status or U.S. citizenship. Must have never been convicted of a felony, significant misdemeanor, or three or more misdemeanors, and do not otherwise pose a threat to national safety or public safety. Not sure if you are eligible for DACA? Complete our short questionnaire. Individuals who are currently detained and believe they meet the eligibility requirements should identify themselves to their immigration (ICE) detention officer. Eligible individuals can request consideration of Deferred Action and employment authorization by submitting DACA applications and certain evidence to USCIS and paying the filing fee. The total USCIS filing fee is $495. USCIS requires applicants for DACA to provide certain documents or evidence demonstrating their eligibility for DACA which must be submitted with the application. Applicants should use our DACA documents checklist for guidance in gathering the required evidence. Still not sure if you’re eligible for DACA? The experienced immigration attorneys at Allen & Pinnix, P.A., can evaluate your status and determine if you are eligible to apply for DACA. Schedule a confidential consultation or by calling our office: 919.755.0505. Q7: Is there any difference between “deferred action” and “deferred action for childhood arrivals” under this process? Q2: May I travel outside of the United States before USCIS has determined whether to defer action in my case? Yes. You cannot travel while your request is under review. You cannot apply for advance parole unless and until DHS has determined whether to defer action in your case.In addition, if you have previously been ordered deported and removed and you depart the United States without taking additional steps to address your removal proceedings, your departure will likely result in your being considered deported or removed, with potentially serious future immigration consequences. Q3: If my case is deferred pursuant to the consideration of the deferred action for childhood arrivals process, will I be able to travel outside of the United States? Even after you have asked EOIR to reopen your case, you should not leave the United States until after EOIR has granted your request. If you depart after being ordered deported or removed, and your removal proceeding has not been reopened and administratively closed or terminated, your departure may result in your being considered deported or removed, with potentially serious future immigration consequences. If you have any questions about this process, you may contact the ICE Office of the Public Advocate through the Office’s telephone hotline at 1-888-351-4024 (staffed 9 a.m. to 5 p.m., Monday through Friday) or by email a tEROPublicAdvocate@ice.dhs.gov. Q1: I first came to the United States before I turned 16 years old and have been continuously residing in the United States since at least June 15, 2007. Before I turned 16 years old, however, I left the United States for some period of time before returning and beginning my current period of continuous residence. May I be considered for deferred action under this process? Q2: I was admitted for duration of status or for a period of time that extended past June 14, 2012, but violated my immigration status (e.g., by engaging in unauthorized employment, failing to report to my employer, or failing to pursue a full course of study) before June 15, 2012. May I be considered for deferred action under this process? Q3: Can I request consideration for deferred action under this process if I live in the Commonwealth of the Northern Mariana Islands (CNMI)? The experienced immigration lawyers at Allen & Pinnix, P.A., can evaluate your eligibility, assist you in obtaining the necessary documentation and guide you through the application process for requesting deferred action. Jack Pinnix and Lynn Calder, the immigration lawyers at Allen & Pinnix, P.A., in Raleigh, North Carolina have represented thousands of individuals in immigration matters throughout North Carolina and the United States. Mr. Pinnix and Ms. Calder are Board Certified Specialists in immigration law. Schedule a confidential consultation or call our office at 919.755.0505 for an analysis of your eligibility, or your children’s eligibility, for deferred action and all your immigration matters. In the United States, “notarios”, “immigration consultants”, and “notarios publico” are not lawyers. They cannot represent you before USCIS or the Immigration Court. For more information about notario fraud, visit the Stop Notario Fraud website or the USCIS website.